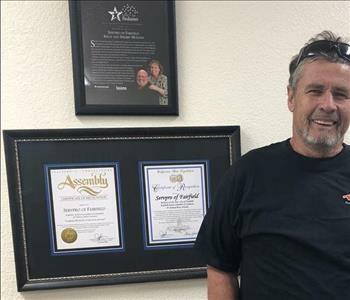 Owner, Director: Kelly's singular goal has always been to make SERVPRO of Fairfield the number one cleanup and restoration of residential and commercial property service in the area. Customer Satisfaction and an efficient, professional team are what SERVPRO of Fairfield is built on. 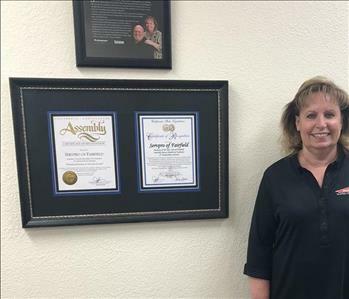 Owner, Director: Sherry's years of dedication to making SERVPRO of Fairfield the number one service in the area and a standard for customer service & professionalism continue to be at the heart of the company's success. Office Manager: Sheri is another one of our top fire technicians turned crew chief and a valued team member. 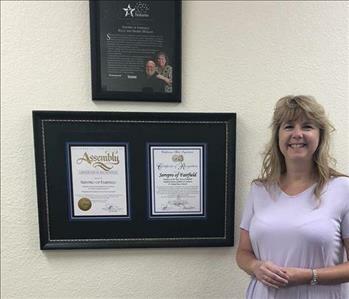 Not only is she skilled in restoration of residential and commercial property, but she also finds time to assist office staff in various areas. She is an employee with many talents. 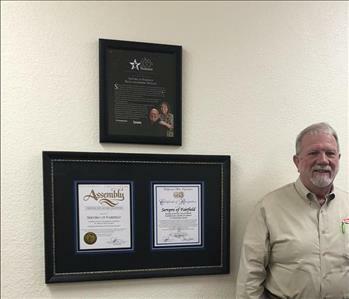 Sales & Marketing Manager: Ray's exceptional call-close ratio and account management skills are an important element of our Sales and Marketing efforts. 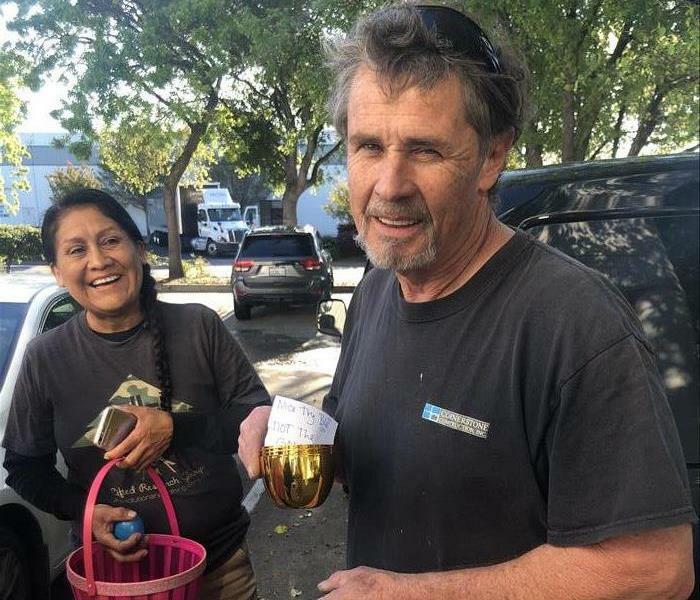 He knows how to identify and connect with customers in a way that does SERVPRO of Fairfield proud. 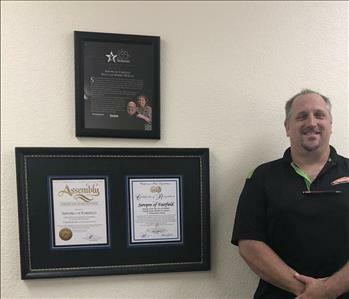 Production Manager: Ron is another one of our top team members at SERVPRO of Fairfield. Ron’s knowledge and attention to detail make him an awesome team member. He always puts our customers first, which is Job #1 here at SERVPRO of Fairfield. 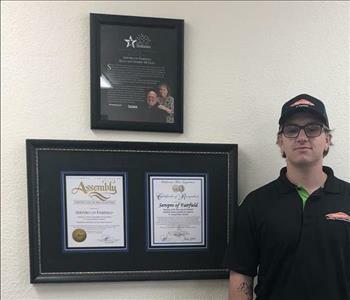 Technician: Eric is another integral member of the SERVPRO of Fairfield family and everyday he comes to work with the "Put Customers First" can-do attitude. Eric is one of those people who is never satisfied until the customer is satisfied, and that makes him an awesome team member. 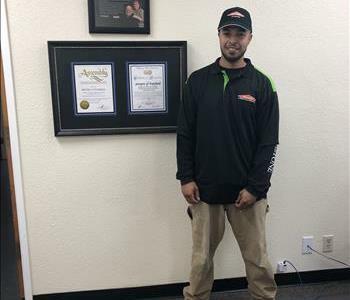 Crew Chief: Julian came to SERVPRO of Fairfield with several years of experience in the Restoration business. 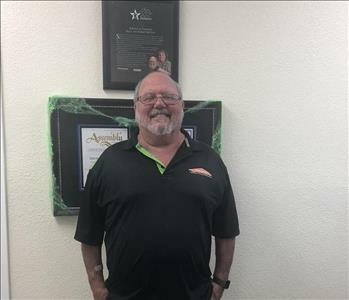 Julian has been with SERVPRO of Fairfield since 2015. Julian takes great pride in his work and is a Team player. 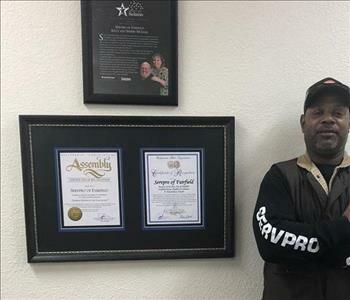 Technician: Kenny came to SERVPRO of Fairfield with a great mindset to get the job done right, and has the determination to make it "Like it never even happened." He always has a smile on his face and is ready to work. 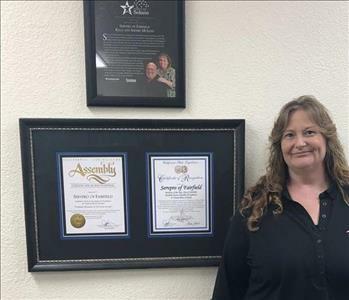 Technician: Sue came to SERVPRO of Fairfield with optimism and determination to get the job done right the first time around. Sue is a great asset to the SERVPRO family. 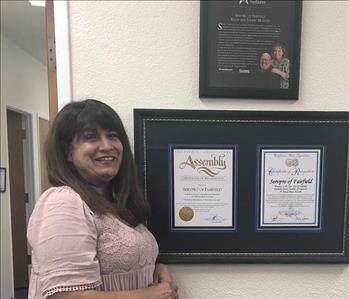 Accounting Clerk: Josie Soto is the Accounting Clerk at SERVPRO of Fairfield. Josie has years of experience in the accounting field. She is a family oriented person and loves her job here at SERVPRO. 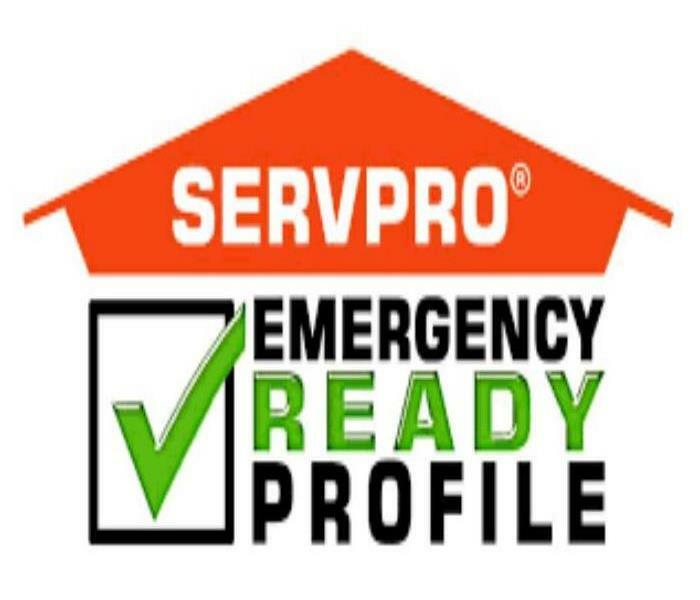 File Coordinator: Shelly comes to SERVPRO of Fairfield with experience in the administrative field. 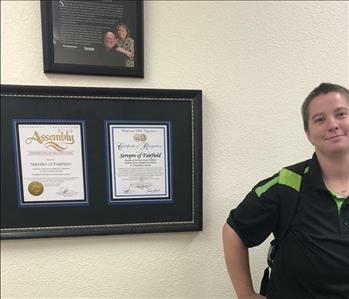 Although the newest member of the SERVPRO family, she jumped right into her role as if she had been with us for years, making her a true asset to the SERVPRO of Fairfield family.